Doctor Who: The Meeting Of The Two Doctors | Warped Factor - Words in the Key of Geek. If you'd tuned in to The Two Doctors upon its original broadcast beginning February 16th 1985, chances are it might not have been merely your aunt who got a bit giddy! 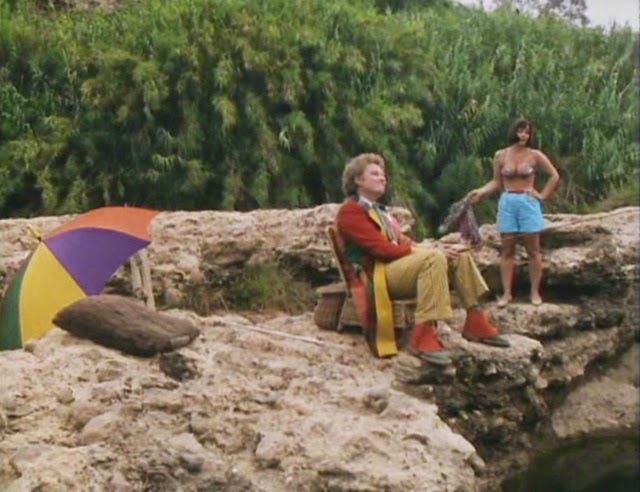 The literary canon which sprung up in the wake of televised Doctor Who being forced into the wilderness has given the meeting of the Second & Sixth Doctors a little added context. Fast forward to the beginning of The Two Doctors! 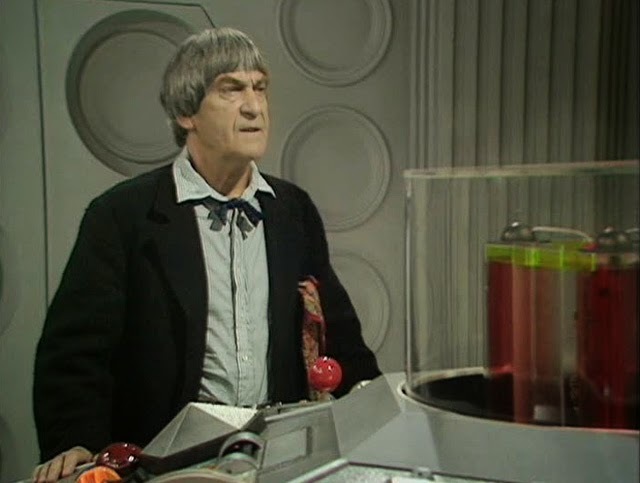 A grey-haired Doctor Two stands in a radically different TARDIS to that which he'd used in his own era. At least, the interior's different anyway. The Time Lords have given him back his beloved Type 40 as a sort of concession after his good work during only his second mission as a Celestial Intervention Agent, albeit with a few tweaks, & he's also regained Jamie, whose mind was of course wiped in The War Games as a companion after having to work alongside the Time Lady Serena- the stress of whose death on the job is said to have put more than a few greys on his lovely Beatle-indebted head. McCrimmon believes Victoria Waterfield to be off studying graphology. This, of course, is a lie by the Agency! DOCTOR : Come here, Jamie. Look at that. JAMIE: Look at the size of that thing, Doctor. DOCTOR- Yes, Jamie. It is a big one. JAMIE: Just a wee laboratory, eh? DOCTOR - Well, it's, obviously, it's grown. JAMIE: It's like twenty castles in the sky! Are you sure we've come to the right place? DOCTOR : Of course I am. JAMIE: We don't usually get to where you say we're going. DOCTOR : I got Victoria to where she wanted to go, though why she wants to learn graphology, I've no idea. JAMIE: Ah. Will we ever get back to her, though? DOCTOR :Of course we will. JAMIE: I'll believe that when I see it. DOCTOR- At the moment, we have other things to worry about. Look at this! What could possibly have riled him so? 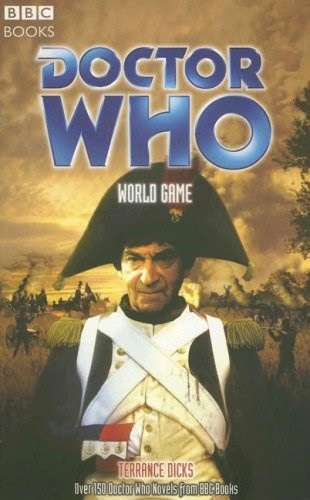 It seems the Time Lords still don't entirely trust him. JAMIE: Hey, I've not seen that before. DOCTOR : It's not been here before. It's a teleport control. You'd think I'd never flown a TARDIS solo! DOCTOR: It gives the Time Lords dual control. Infernal cheek. I shall complain when this is over. But what of his later self? 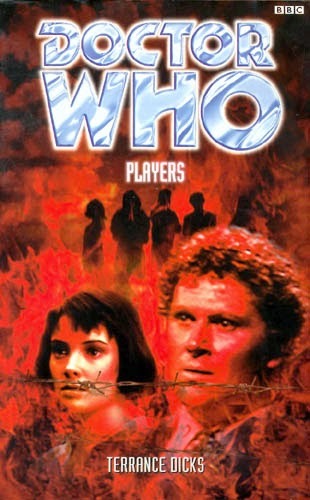 PERI: Doctor, er, are you all right? DOCTOR: Of course I'm not all right! What happened? PERI: I think you fainted. DOCTOR: I never faint. I remember now. I felt a weakness. I felt a weakness and then I, I was in another place. PERI: Can I get you anything? Celery! That's what you need. DOCTOR: Celery, yes. And the tensile strength of jelly babies! But I, I had a clarinet. Or was it a flute? Something you blew into. PERI: A glass of water? DOCTOR: Water? No, don't think so. A recorder! That's what it was. Some kind of mind lock. PERI: Doctor, you're not making any sense. DOCTOR: I am making perfect sense. I was being put to death! PERI: I think you should sit down. DOCTOR: Sit down? They're executing me! Except it wasn't that way. It didn't end like that, so it's not possible. DOCTOR: Well, I exist. I'm here, now, therefore I cannot have been killed then. That is irrefutable logic, isn't it? PERI: Don't worry about it. DOCTOR: But the there and then subsumes the here and now, so if I was killed then, I could only exist now as some sort of temporal tautology. That also is irrefutable. PERI: Circular logic will only make you dizzy, Doctor. 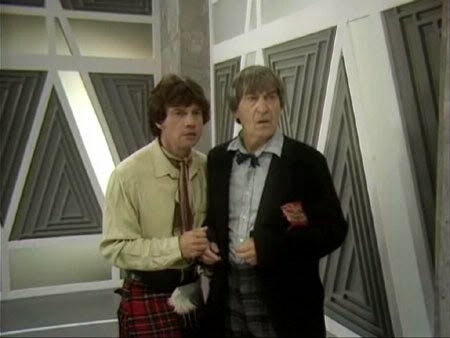 DOCTOR: The most likely explanation, of course, is that I haven't synchronised properly yet. Some kind of time-slip in the subconscious. DOCTOR: See how it swings backwards and forwards, forwards and backwards. It makes your eyes feel heavy. So heavy you want to go to sleep. Sleep, Jamie. That's it. Sleep. Jamie, why did you come here with the Doctor? DOCTOR: And did you see him? JAMIE: Aye. They had an argument. DOCTOR: The Doctor had an argument with Dastari? What about? DOCTOR: What happened then, Jamie? Can you remember? JAMIE: There was a battle. The knights came and killed everyone. DOCTOR: The knights? What were they like, Jamie? Can you tell me? JAMIE: They had a sort of armour. Heavy with no necks. And their hands were just two great fingers. They killed everyone. 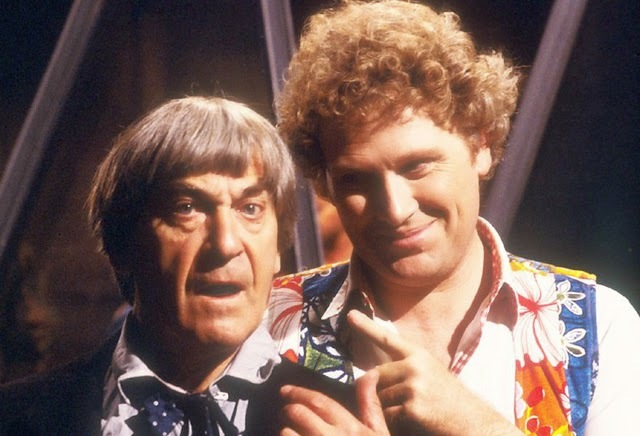 But having had such a good time working together with Colin Baker & Nicola Bryant, as well as his old friend Pat Troughton, Frazer Hines did apparently suggest that Jamie could stay on to travel with the Sixth & Peri, though ultimately the idea wasn't picked up on! The Sixth does get a little jealous at another of his past self's little rewards from the Time Lords, too- the Stattenheim Remote Control allowing the Second to call his TARDIS to him with a simple whistle. DOCTOR: A Stattenheim remote control? Where did you get that? I've always wanted one of those. DOCTOR : Some of us have earned these little privileges. DOCTOR : Do try and keep out of my way in future and in past, there's a good fellow. The time continuum should be big enough for the both of us. Just. And it'll have to be, as they'll be in each other's vicinity during the novel Players too!